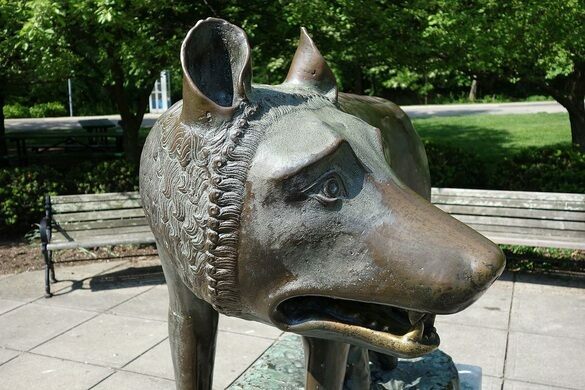 By 1931, Benito Mussolini had been in power for 10 years, and he marked the anniversary by sending a few replicas of Rome’s iconic Lupa Capitolina (Capitoline Wolf) statue around to other cities, including this one to Cincinnati. Unlike the cities of Rome, Georgia or Rome, New York (which each have one too), Ohio’s third largest city isn’t named after the Italian capital, but for the beloved Roman statesman, Cincinnatus. And that was good enough for Il Duce. A suspended garden, now gone, once hung in the middle of this abandoned church. An abandoned relic of the city's failed experiment with below ground transit. 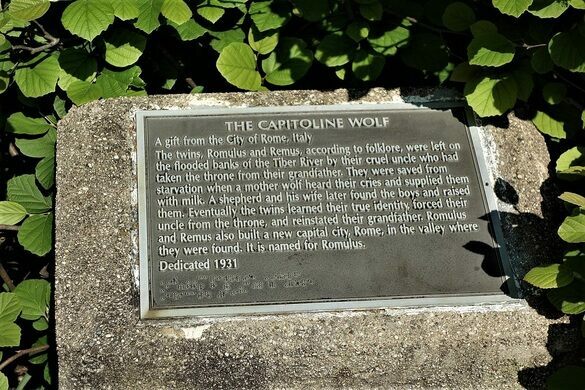 Set in Eden Park along the banks of Twin Lakes, the bronze statue is the same strangely shaped canis lupis as the original, an artwork that has come to symbolize Rome. 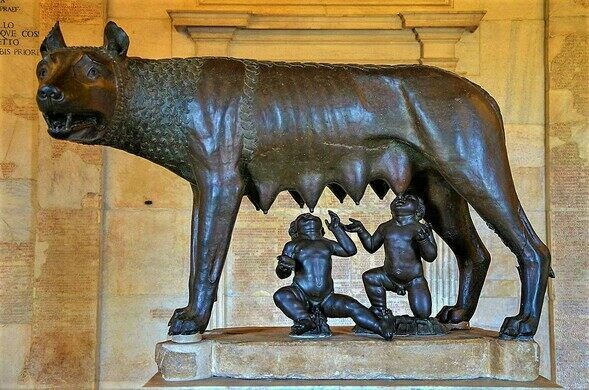 It depicts the legend of Romulus and Remus, twin founders of the city, suckling at the she-wolf’s teat. There are scores of copies around the world, many of them given as gifts by Mussolini. The one that landed here came through an arrangement made by the Order Sons of Italy, Cincinnati Chapter. As the only city in America to honor the great Cincinnatus, it seemed like a no-brainer at the time. 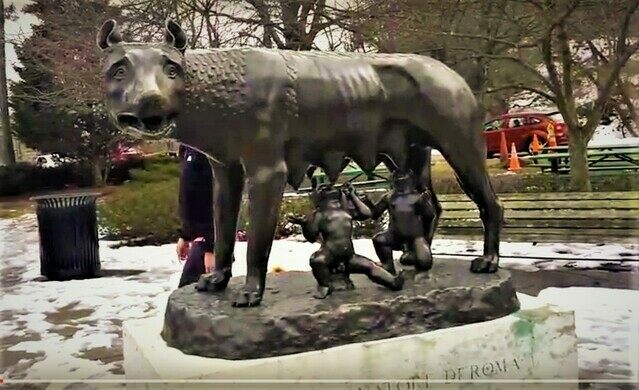 When the statue was gifted to Cincinnati, Mussolini had already established the Fascist Party and installed himself as Italy’s ruler. But if things looked like they might get a little dicey with a gift from a dictator as the 1930s wore on, the statue somehow managed to escape too much controversy. It has stayed put on its marble pedestal for the more than eight decades since. The statue is in Eden Park, just west of the Ohio River in downtown Cincinnati. The statue is by Twin Lakes, alongside some picnics table, just off Lake Drive. One of Cincinnati's greatest fighters once trained at a now defunct gym in this Over-The-Rhine neighborhood. Hidden on two floors of downtown building, the library has an incredible deal on rent. An obsolete, vanishing traffic device warns Cincinnati drivers away from middle-of-the-road obstructions.